It’s been a fantastic year for the Fashion industry in Samoa. Many local Designers and Fashion houses have enjoyed great success not only in Samoa but also all over the world. 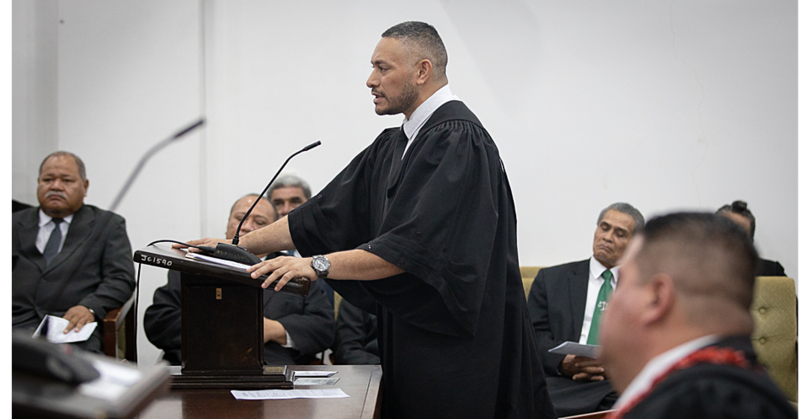 All of them have featured extensively on the pages of the Samoa Observer. Today we have chosen to focus on the labour of love story of Pele Creations. It is a love story started by pioneer, Su’a Frieda Paul, who is Founder of Pele Creations in the 1960’s when the store was initially located in Apia. Today, the business is back with a vengeance. And while she is still involved, her granddaughter, Tago Natalya Ah Chong-Ah Him, has taken the baton, ready to move the business to the next level. A big breakthrough came this year when they joined Cecilia’s Fashion House and Dane Mulinu’u Fabricius (D.M.F.) at the Pacific International Runway international Fashion Show in Sydney Australia. It was important platform to showcase local talent to an international market connecting them to international buyers. Back in Samoa and away from the glitz and glamour of the modern fashion world, Pele Creations came from a humble and beautiful beginning. Having done her dash, Su’a said she couldn’t be happier to have handed the Label over to her granddaughter. 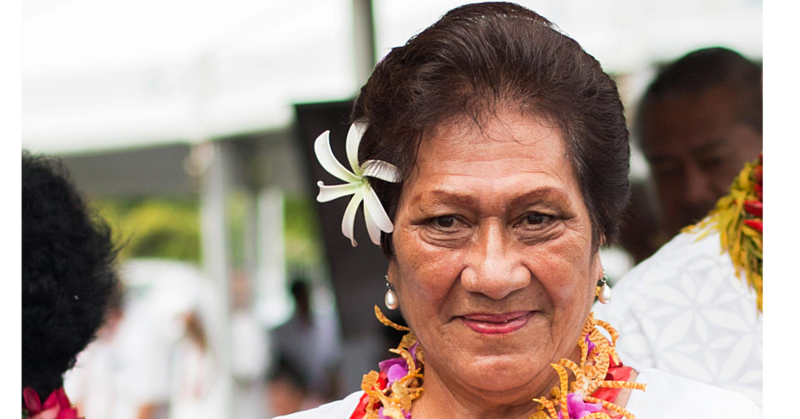 At the age of 84, Su’a still works. She takes orders and of course run errands when need be. Natalya works on the prints at her garage. The new Carol N Mark Shop is located at the cool heights of Vailima. 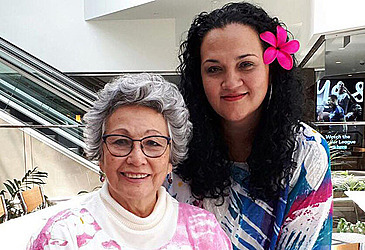 Known to many as Samoa’s version of Coco Chanel, Su’a said her granddaughter is an entrepreneur who took risks with business ventures such as her Mapu Mai Spa and her B.B.Q. grill. But she still had the gift of handprint. That’s how she decided to revive Pele Creations. A committed and passionate fashion designer, Natalya is active and was also part of Samoa Sinnet Fashion Show. Earlier this year, Natalya held a fashion show with other local designers, Dane Mulinu’u Fabricius of D.M.F. and Cecilia Keil of Cecilia’s Fashion House and proceeds from auctions were donated to the Samoa Cancer Society. The donation, according to Natalya, was inspired by her best friend and former Miss South Pacific and Miss Samoa, Manamea Apelu-Schwalger. Since the re-opening of doors of Pele Creations, Natalya has had to juggle her schedule to fit in her five children, Paul 23, Taniela 21, Francis 20, Joseph 16 and the Princess of the family, Sovita, who is nine years old. “Each piece is different and unique in its own ways and I work during the wee hours of the day,” she said. “It was not easy trying to slowly make your mark on the fashion market and trying to revive Pele Creations to bring out the originality and its usual glamour, but I guess when you are talented it’s there,” Natalya said laughing. According to Natalya, Pele Creations is where love and fashion is predominant. Natalya broke into tears when she paid tribute to her grandmother, saying she paved the way for fashion in Samoa and the Pacific region. “Our unique designs portray the love for fashion that has been gifted, instilled and nurtured from one generation to the next,” she said. Married to Francis Ah Him, Natalya along with her grandmother, are thankful to the “extremely awesome support system they have from Francis”. “Natalya is one blessed woman, her husband is a great man who does all the background work,” Su’a Frieda said. Natalya couldn’t agree more. She said without the support of family, one would have a hard time meeting the demanding life of a modern business. Natalya is the eldest of four girls. She is the daughter of Papali’i Tiumalu Carol Paul-Ah Chong and Gaono Randy Ah Chong.